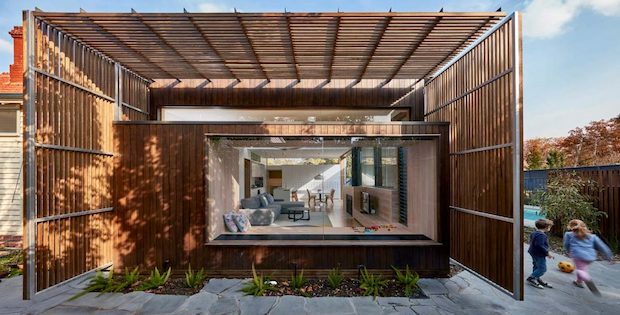 Here’s a home that will give you a refreshing idea for a house design. 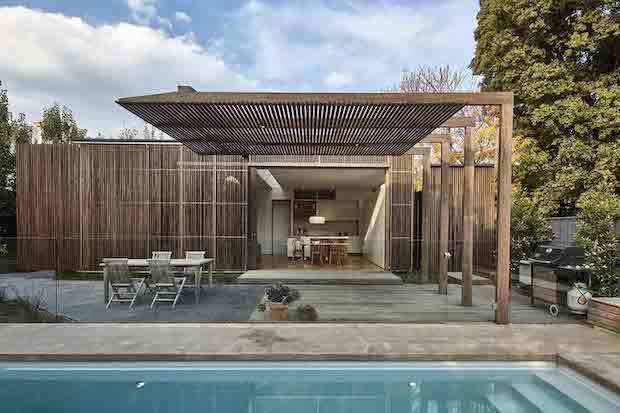 Instead of conventional walls, this home makes use of timber hardwood screens. 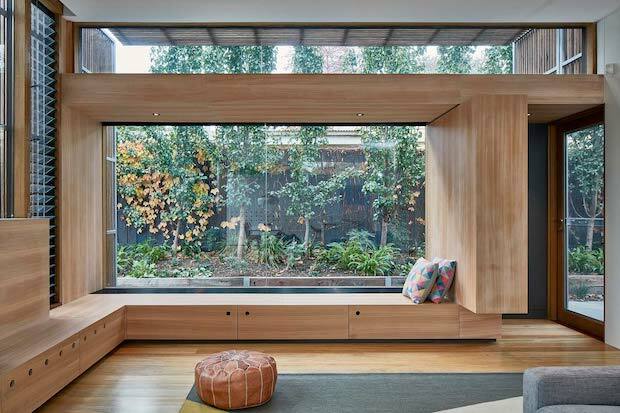 These screens allow for a controlled amount of sunlight to enter your home. 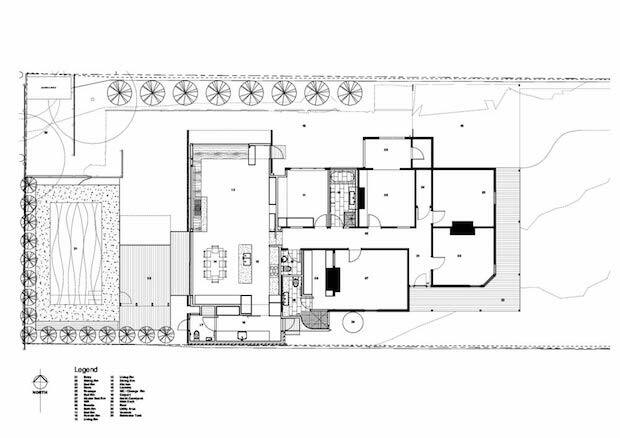 Not only that, but it will also provide natural ventilation. Pair this with large windows and glass walls and you’ll have a have a home fully illuminated with natural light. 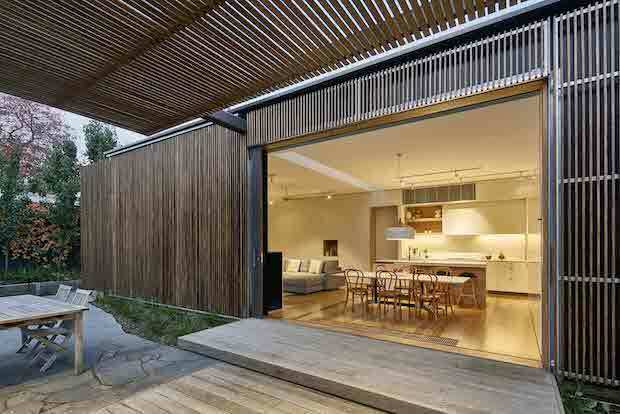 The end result is a house that feels open to the outside world while still maintaining a comfortable level of privacy. 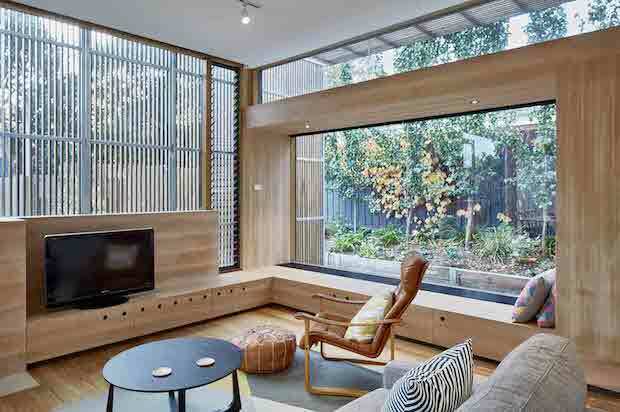 To top it all off the interior layout of the home is designed to emphasize the openness the screens offer. Each piece of furniture is strategically placed. So wherever you end up in the home, you will always be reminded of how open it is. 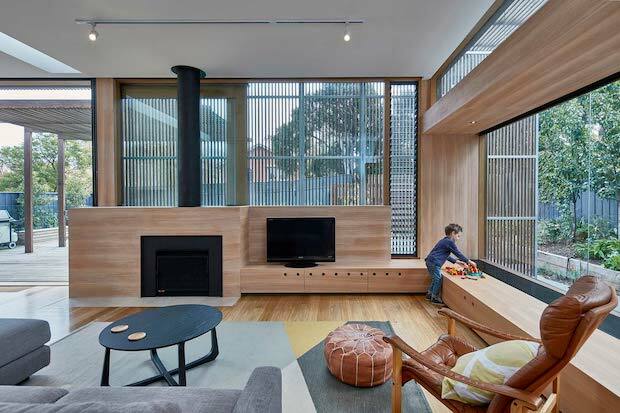 Massive windows can be found throughout this home, and a wooden built-in seating area in the living room, with a matching fireplace inset and entertainment area, seamlessly come together in nest-like comfort. 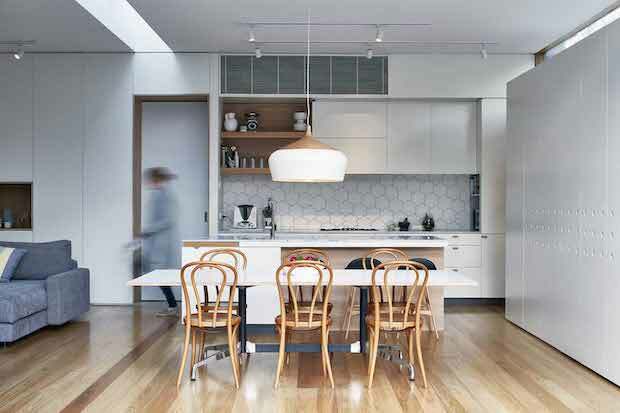 Floor to near-ceiling kitchen cabinets line the entirety of one wall in the kitchen, with a white tabletop and countertop to match – keeping the space a clean shade of cool, collected and under control throughout.